Duncan Mallace is head of the Business Development Council at QPS. Hydro International asked him (and other leaders in the business) 5 questions. Technology and societal needs are changing rapidly. How is your company adapting to these changes? We believe that efficiency changes and therefore cost benefits to our industry have to come from technology, therefore we are continually striving to reduce human input and to increase the performance of our applications. This has a twin benefit in that the products become faster which reduces delivery times, but also easier which saves on both the number and the skill set that the users require. As an example, our new bathymetry product Qimera was designed to be the fastest, easiest to use application but also the most advanced. It contains guided workflows, a simple GUX and reads as much data directly from the source files, which reduces human error and speeds up the whole process. This is coupled with the latest technological specifications and tools to correct for any error in a sonar. On which applications does your company focus its research and development activities? Many industries overlap in the way that they use marine geospatial technology. For example, Oil & Gas and Offshore Renewables both require cable lay catenary, multi-object tracking, inspection requirements to name a few and the Dredging industry requires very fast turnaround of data, which is also required in Oil & Gas. Our goal is to harness, with our software, the latest technological breakthroughs from the hardware vendors to ensure that our clients in all sectors receive the benefit of our development. 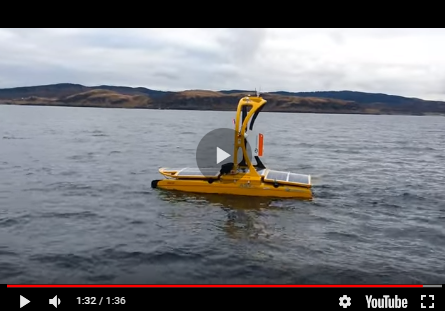 The autonomous sector is obviously one sector that will cross many industries and the developments we make for hydrography will provide instant benefits to our Offshore Renewable clients. What is your company’s growth strategy? One of the greatest advantages that QPS has is that we cover all the marine geospatial industries on a global scale from hydrography to Oil & Gas to Maritime Pilotage. In this current period of Oil & Gas downturn, Offshore renewable increase, government austerity and at the same time investment and an uncertain shipping sector we can continue to innovate and grow from the mix of these markets. How would you describe the hydrographic market these days? Exciting. We have some very demanding clients who strive to be the best in their industries and that forces us to continually look at new directions and developments. There are a number of complementary technologies that are coming together, which will enable new methods of data collection and processing which should have tremendous benefits. Which new or emerging markets do you foresee in the coming years? The way people use software is changing and people expect the simple app approach from their smartphones to be the way that they interact with computing technology. When this is also coupled with much larger datasets being produced by the latest sonar systems and laser scanners it is a challenge but also an opportunity as it will make the technology more useable beyond our traditional market boundaries.